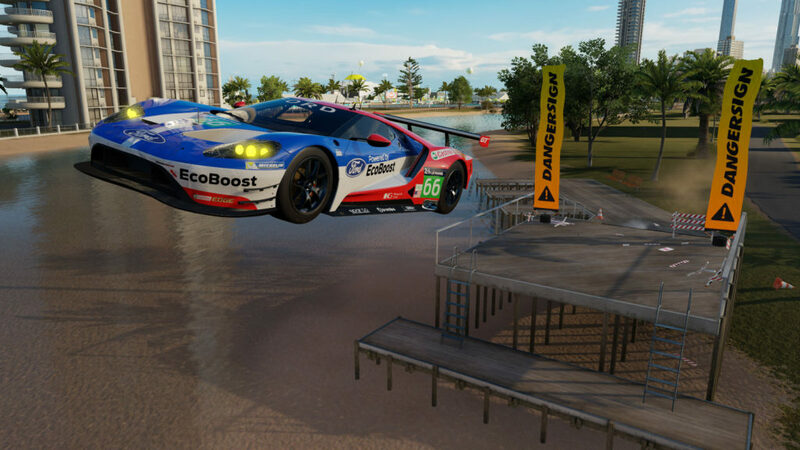 Forza Horizon 2 on Xbox One represented one of the high water marks for racing on console. Combining a more forgiving Forza handling model with Test Drive Unlimited, Burnout Paradise and the older Need for Speed games, the result was a racing title that just about anyone could get into. I loved the French and Italian-style landscape in Forza Horizon 2, with the memory of suspension-jarring jaunts through fields of flowers seared into my brain. But if there were one complaint about the setting, it’s that it could definitely get monotonous. Sure, it was gorgeous to look at, but there were only so many farms and rolling green hills to take in. Fortunately, the move to Australia is one of the high-points for Forza Horizon 3, offering a variety of environments to race in. You’ve got a city or two, the outback, forests, the coastline and wastelands. It really makes for a visually pleasant experience. 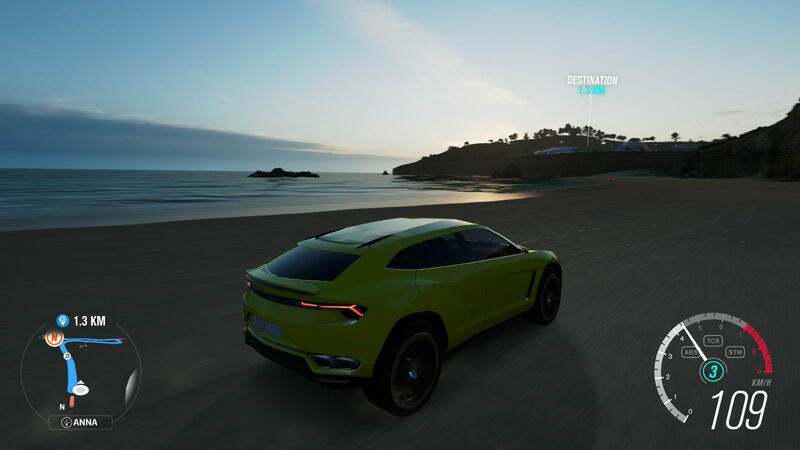 And yes, the game definitely feels more open than its predecessor, as you’ll be racing on the beach itself, making liberal use of shortcuts and more. And the game looks the business too, featuring some fantastic lighting effects, a realistic skybox of puffy marshmallow clouds, detailed car models and kaleidoscopic visuals. Sometimes, these elements come together, as was the case when I was racing on a wet road, the sun then coming out and bouncing light off the track. Best-looking game on Xbox One? It’s certainly a strong contender. It’s not perfect though, as foliage tend to look flat and jaggy, while few games truly capture how waves lap up against the beach. But it still makes for an excellent demonstration of the Xbox One’s graphical capabilities. 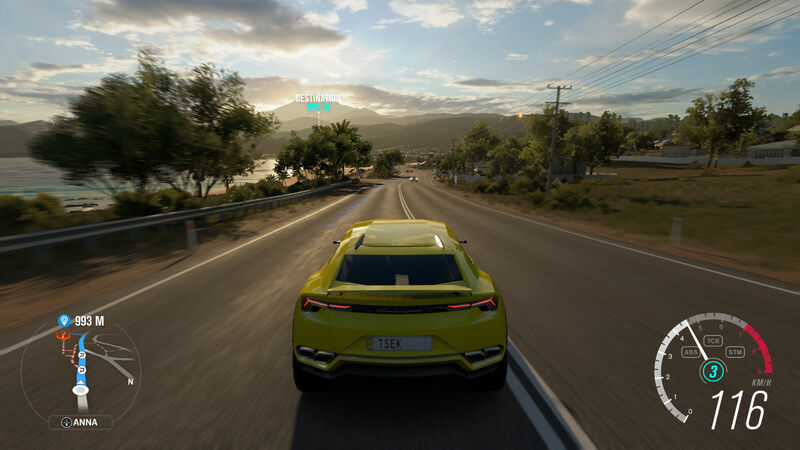 The core gameplay is largely the same as Horizon 2, so that means you’ll be visiting festivals, going head-to-head against Drivatars on the road and zig-zagging across the map to find new races. It also means you’ll be doing Bucket List challenges/showcases, searching for Barn Finds and hitting speed traps. Still, I couldn’t help but feel that Horizon 2 didn’t do a good enough job of conveying a sense of gameplay variety. Sure, there were races, championships and Bucket Lists, but the actual number of events felt rather low. Whether there were precious few events to partake in or not, the second game didn’t expose you to these in a better way, but fortunately, the Anna GPS-enabled assistant is back, and can be used without Kinect this time. Simply use the gamepad to have Anna direct you to the nearest race/hub/stunt jump/whatever. That’s not to say that there aren’t any gameplay additions though. 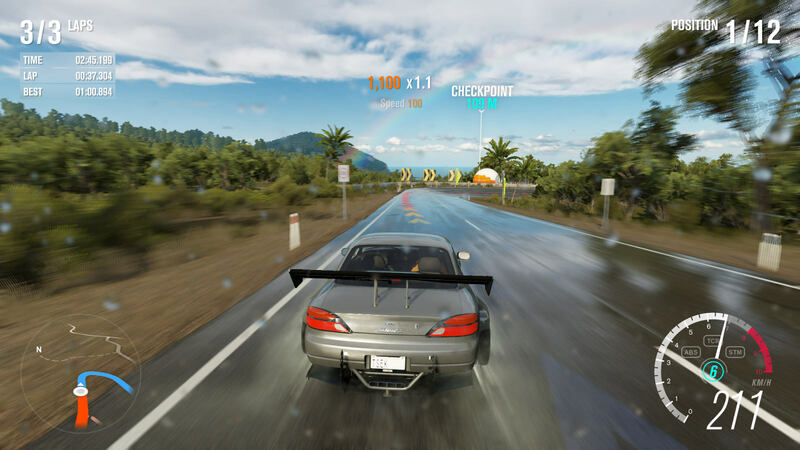 There are a number of new features that make for a more fleshed-out experience than Horizon 2. For one, the game now offers the ability to create your own Bucket List challenges. Dotted around the map, you’ll find Blueprint icons, allowing you and friends to craft your own challenges and races. 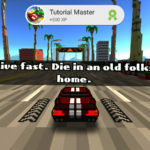 The challenges include nailing a specified speed past a camera, making it to a certain destination in time or pulling off a number of Skills (drifting, near-misses etc). It’s a rather cool feature, allowing you to share challenges with friends – the ability to specify parameters (such as traffic, weather and time of day) is a lovely touch as well. It sort of feels like Playground has taken a shortcut by using player-generated challenges, but for the most part, it injects welcome variety into proceedings. Speaking of variety, the studio has also implemented stunt jumps (above picture taken in photo mode), being dotted around the world. There’s also some incentive to tackling these (aside from the obvious thrill factor), as you’ll be rewarded with more fans, which, in turn, results in more festival venues and festival venue upgrades. Upgrading a festival venue unlocks a host of events in the venue’s vicinity, going a very long way to improving variety as well. So there’s definitely some incentive to upgrade all your festival venues. The next new feature is the Drift Zone, which sees sections of roads throughout the map being demarcated for drifting. Get the car sideways through these turns and you’ll be earning some points/fans in the process. It’s not my favourite new feature, as traffic tends to be a nuisance here, but Fast and the Furious junkies will enjoy it. Another big feature is the skill song functionality, which sees the in-game DJs play certain songs that net you double the points. It makes for a fun change of pace, as your leisurely jaunt across the map becomes a frantic drifting and speeding game to rack up the points. Oh yeah, you can use your Groove Music library too if you like, but us South Africans will need to dump the tracks into OneDrive to get this feature working (the paid streaming feature isn’t available here). Finally, the game also has an emphasis on convoys and recruiting new Drivatars, so you’ll often be told to search a specific area for a Drivatar to recruit. Once you’ve found them, you’ll need to race them to successfully recruit them. It’s pretty optional, as these AI-powered cars will merely join you on the road, but the real kicker is that they’ll help find hidden content. Not a big addition to the formula by any stretch, but a mildly interesting (occasionally useful) diversion anyway. If there is one disappointment to be had with Horizon 3, it’s that there’s a seriously paltry number of Showcase events on offer. But overall, the gameplay variety has definitely improved compared to Horizon 2 – just don’t expect a reworking. 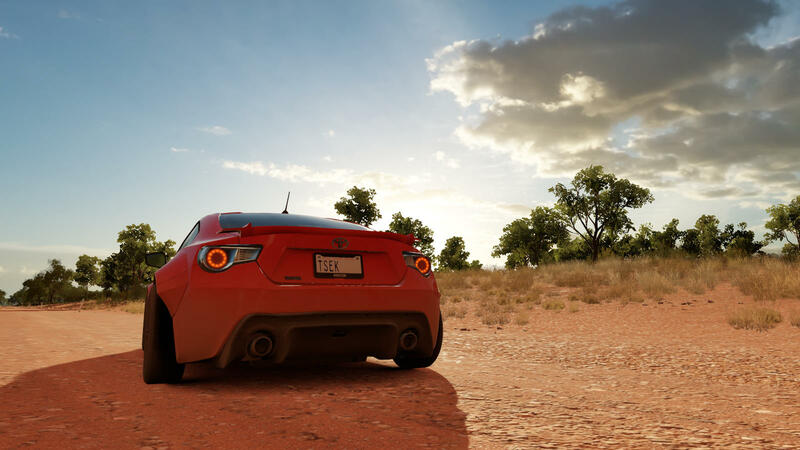 Of course, there’s no point in getting Forza Horizon 3 if you’ll get bored of it after two hours, but fortunately, Horizon 3 does a better job of keeping your attention, it must be said. Between racking up the cash, buying new cars, discovering the elusive Barn Finds and competing in races, you’ll be busy for a while. And the Australian environment is simply fun to drive through. But when you tire of the single player experience, there is a multiplayer suite to enjoy. You’ve got the ability to go on an adventure (a series of customisable events, with players racing to events as well), free-roam with friends or cooperatively complete the single-player stuff. So if you’re on the hunt for a fun multiplayer experience and tire of shooters, this will be up your alley. The actual experience wasn’t bad at all, although there was quite a lot of car teleportation. But it’s much more likely that my spotty 10Mbps connection (which struggles to play YouTube and Netflix over the past few weeks due to an ADSL issue) was to blame. Verdict: Racing fans should definitely consider picking up Forza Horizon 3, but even non-racing gamers will derive enjoyment from the free-roaming antics, stunt jumps and challenges. And if for some reason you’re not enjoying it, well, at least it’s a looker. Just don’t expect the wheel to be reinvented.